On a remote island with three other hunters, the Ultimate Duck Hunting atmosphere crackles with gunfire, honking ducks, thunder and rain, while feathers explode with each hit. The game's clever intricacies make for the ultimate duck hunting simulation. 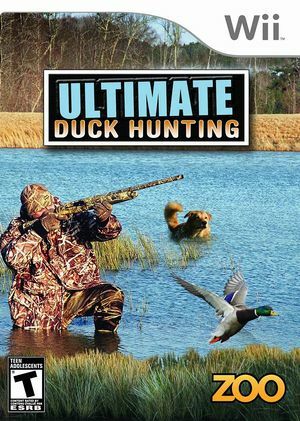 Ultimate Duck Hunting features include: Choice of hunting accessories (shotgun, decoys, camo, and dog). Dog-training in essential commands (remote sit, left over, right over, and back). Six realistically detailed locales teeming with wild ducks. Scoring system based upon the number of birds shot, the number of birds retrieved, and the time it takes to complete your hunt. Fallen ducks that are not dead, but are merely wounded and can swim. Dogs that tire and must be rested to compete effectively. Dog fights over the same duck. The ability to out-maneuver your fellow hunters and intercept their returning dogs with the prized ducks. The graph below charts the compatibility with Ultimate Duck Hunting since Dolphin's 2.0 release, listing revisions only where a compatibility change occurred. This page was last edited on 12 February 2018, at 04:58.